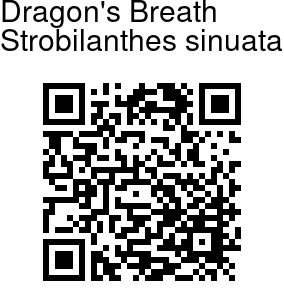 Dragon’s Breath is a small plant, never rising more than 6 inches in height. 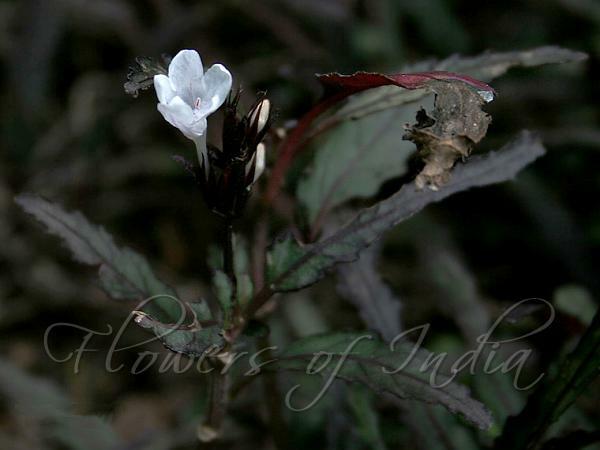 What makes the plant attractive is the colorful purple leaves and the lovely white to pink flowers. The leaves are thin and elongated with a crinkled texture and toothed margins. They are deep shades of almost black burgundy, maroon and olive green. Beginning in late spring it is covered nearly every day by tiny Baby's Breath like white flowers that contrast nicely with the dark foliage. The stems are fine and delicate and the growth habit is dense and tight, making it an excellent choice for ground cover, borders, hanging baskets, window boxes and especially mixed color container gardens. Dragon’s Breath is native to Malaysia, but grown as an ornamental in parts of India. Photographed in Butterfly Park, Hyderabad.